Hello again readers and welcome back! Today we are pleased to announce the release of a new version of buatapa, updating from version 0.0.5 to 0.0.6. The changes are going to be mostly transparent for end users, but it does account for a change in the output of autoruns.csv files generated with the recently release Autoruns 13.5, which has an additional field in the output. The new version of buatapa attempts to identify if the autoruns.csv file was generated by Autoruns 13.5, or if it was generated by Autoruns 13.4 (or earlier). The parsing of the data and need for the VirusTotal API key to do the VirusTotal lookups is exactly the same. 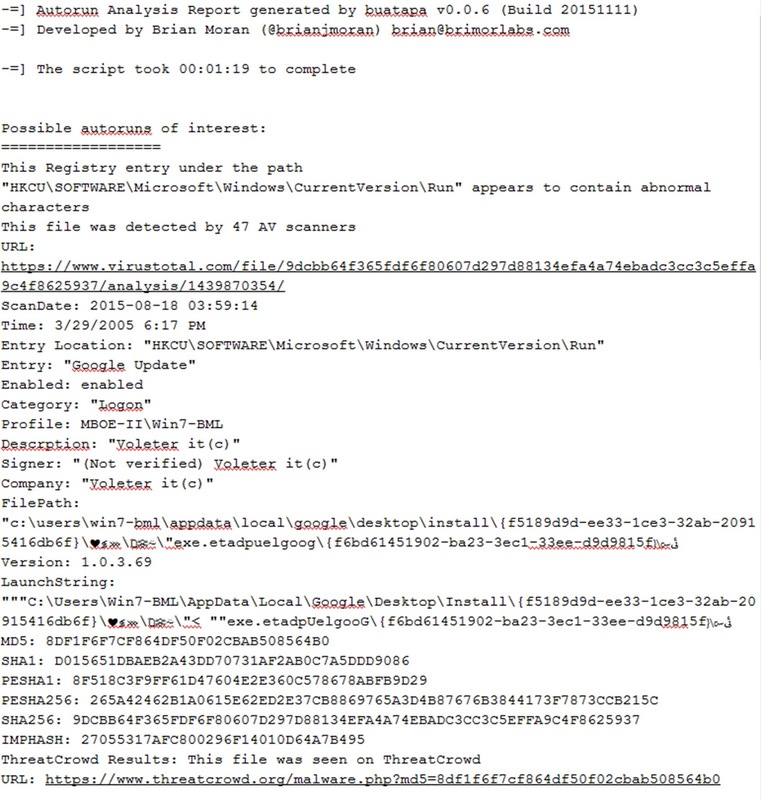 And as a super awesome bonus feature, it also performs queries of ThreatCrowd and returns data if it is found. 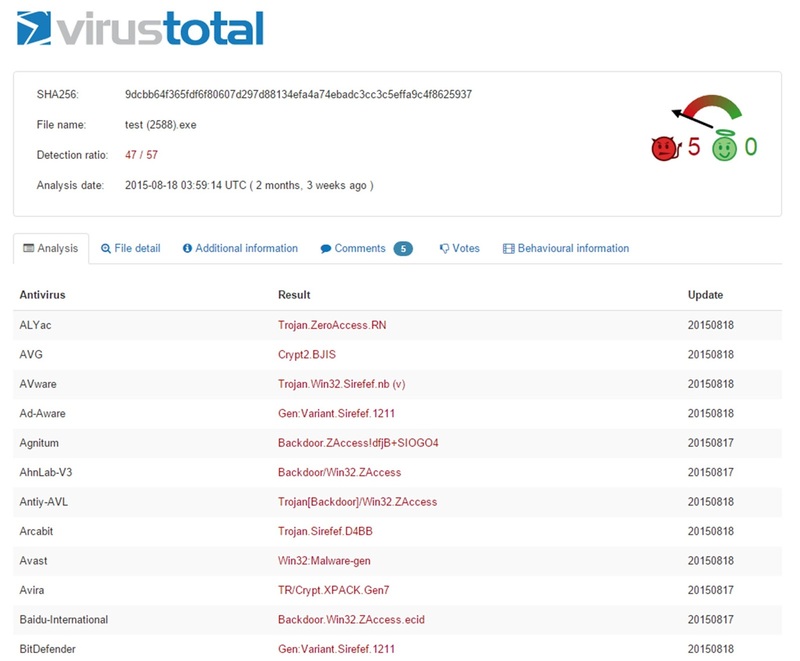 In order to not have to write an additional timer (the ThreatCrowd API is limited to one query every 10 seconds) I included the ThreatCrowd lookup with the VirusTotal lookup, so for the purposes of buatapa you are required to have the VirusTotal API in order to perform the ThreatCrowd look ups. You can modify the script to not require that if you wish, but if you do that be sure to allot for a 10 second sleep between each query. If it has been noted on ThreatCrowd you can go through the information listed to look for additional information on the malware, including domains and IP addresses, in an effort to help combat/detect other instances of the malware within your environment. Plus, the pictures are really nice! !